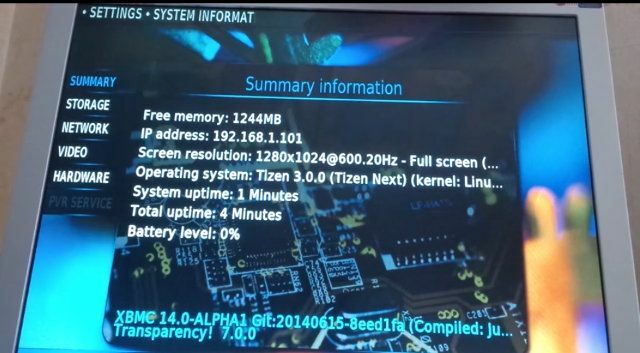 Tizen Experts reported that they were able to get XBMC (which will be renamed to Kodi from Version 14 onwards) running on the open-source Tizen Platform on an Intel NUC. Given Samsung’s increased focus on Tizen, with devices such as the Galaxy Gear 2 using the new OS over Samsung’s long-favored Android, it wouldn’t be unrealistic to expect to see Tizen appearing in Samsung televisions in the future. This opens up the exciting possibility of having a true XBMC experience on your TV without any additional hardware.